It is getting on for a year since posting my last blog entry. The long silence does not mean that I haven’t made progress, though certainly I wish I had found the time to do more. When I did do stuff I never seemed to have time to blog about it, partly because I was prioritising my personal blog (where I have now published 95 posts). I hope I can organise my life in such a way as to be able to spend more time in the woods next year but for now I will just summarise what has happened since my previous post. At the end of January I took a trip to Much Hadham where I bought a twelve foot metal field gate from McVeigh Parker. I installed the gate in early February but it wasn’t until March that a local guy called David came with a machine to do a bit of landscaping. He scraped down to solid ground and used the topsoil to form a small bund, then spread twenty tons of crushed concrete to form a nice firm track, just long enough to drive a truck in and close the gate behind. Meanwhile I bought a load of bare root hedging plants from Rochfords to create a hedge along the roadside, either side of the new gate. I chose hawthorn (Crataegus monogyna), spindle (Euonymus europeus) and field maple (Acer campestra) and then added a few more small trees that I had rescued as seedlings and grown on in pots. On either side of the gate I planted some yew (Taxus baccata). I set the hedge far enough back from the road to leave a verge so that I won’t have to trim it too often and eventually I will lay it. In April I got my friend Dean to come back and finish taking down the hollow lime tree that he had made safe in March 2012. We left about five metres standing and most of the rest went for firewood (it is not considered to be a desirable firewood but it seems to burn OK in my stove). 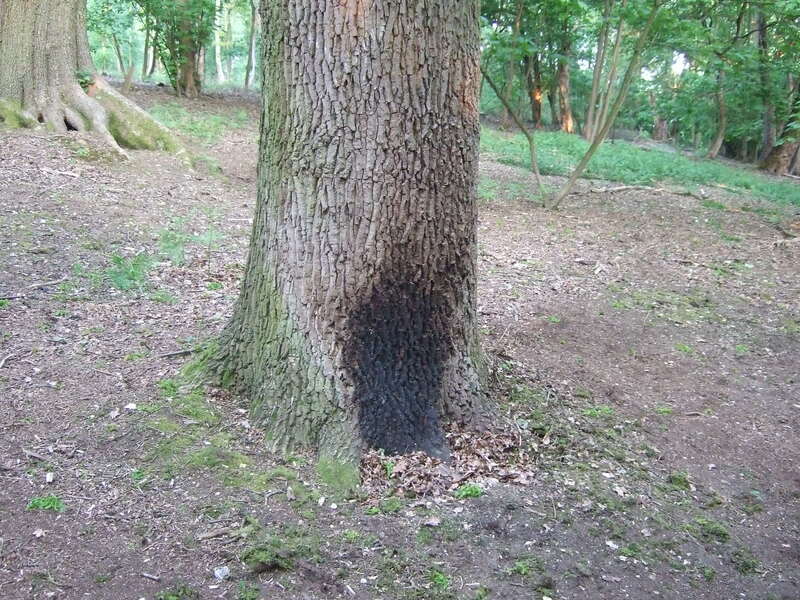 Later in April I was saddened to discover a mature oak near the picnic table with an area of charred bark – why would you light a fire against a tree? Hopefully the damage is not too severe but I will have to wait until spring to see how it responds. In early May it was dry enough that I thought I should water the hedge but I don’t have a source of water in the woods. I have taken the odd bucket of water from the river and carried it up but it would have been a lot of work to water the whole thing like that. Fortunately I had got to know Brian up at Herts Tree Care and he said I could fill a tank at his yard. So I put one of those metre cube tanks on the back of van and attached a large bore flexible pipe to discharge through (it is surprising how little flow you get through a hose pipe when you don’t have mains pressure behind it). I watered the hedge a few more times after that, particularly during the July heatwave, when I also mulched it with some partially rotted wood chip. 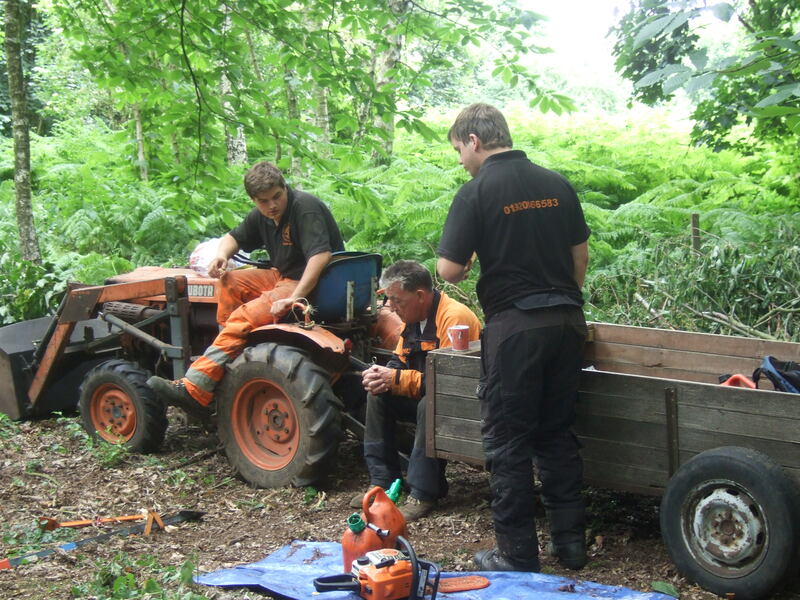 In June Brian said he wanted to train two of his lads for their felling assessment, and asked if he could use our woods. I had already marked up a load of trees to take out so this seemed like a good opportunity. I agreed on condition that he trained me too. I also said he could take the timber we felled for his firewood business and we fixed on the first week of July. It was hot every day and it felt even hotter wearing gloves, boots, helmet and chainsaw trousers. Brian taught us basic chainsaw maintenance in his workshop and then we went out to learn and practice the various felling techniques. 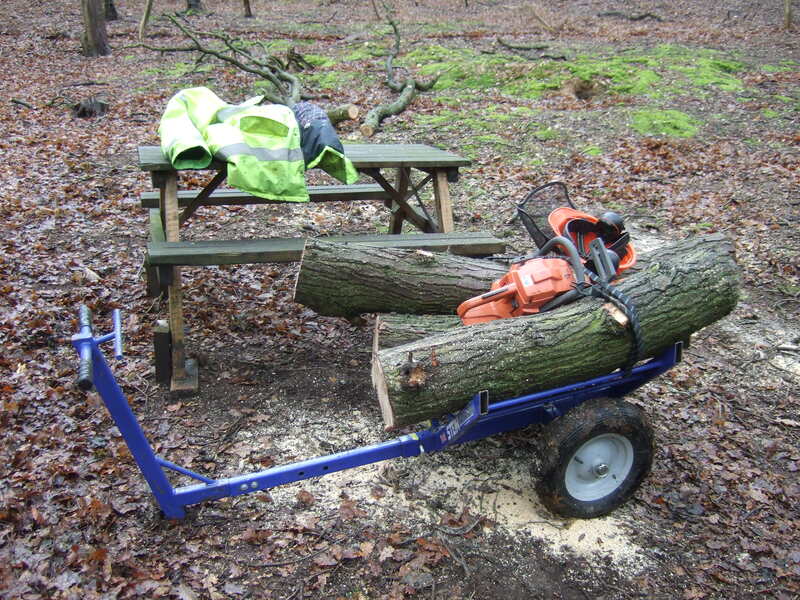 We put all the saws, fuel, breaker bars, wedges, water, packed lunches etc in a trailer and drove it down to the wood with a little Kubota tractor. 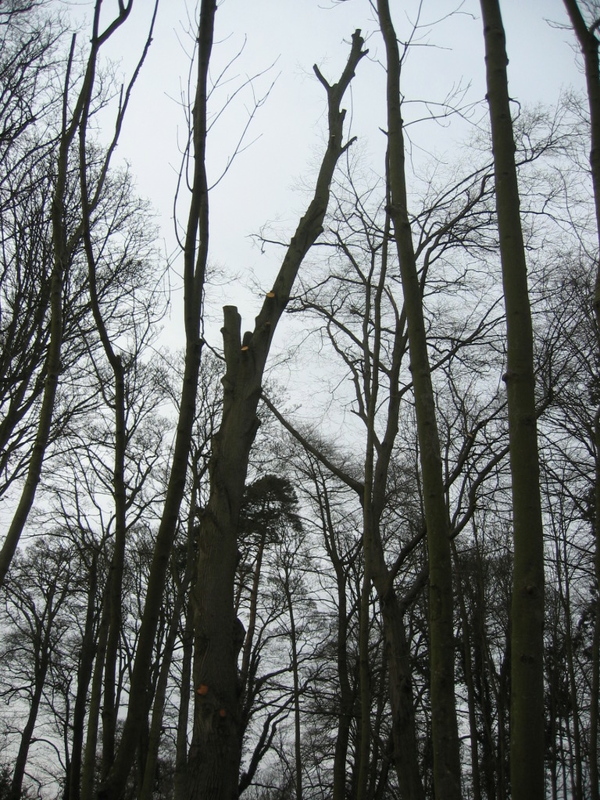 Felling was hard work but I got the hang of it and we managed to thin out about a quarter of a hectare. I was using a Husqvarna 141 with a 15″ bar and on the last day when I was about to put it back on the shelf Brian said I could keep it. I have used the saw a fair bit since then, both in the woods and working with Dean. We stacked the brash in neat piles and one of my jobs for the winter is to burn a lot of it. During the heatwave a fire was deliberately started next to the right of way and it was lucky someone spotted it and put it out – so leaving big piles of dry brash around is probably not a good idea. At the beginning of October we went to the woods with a load of English bluebell bulbs to plant. My mother chose a slight hollow near the picnic table and I cleared away the young sycamores to allow more light in. 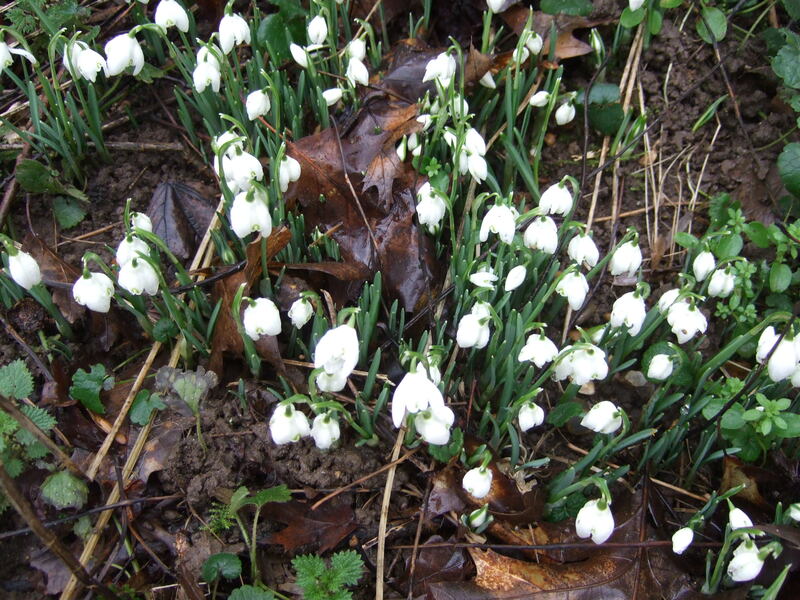 Once the bulbs were planted I surrounded the patch with old chicken wire to avoid disturbance (I read somewhere that badgers eat bluebell bulbs but it may be a myth). By then the light was starting to fade and I realised that the chicken wire was almost invisible, so I surrounded that with some brash to stop people or animals running into it. 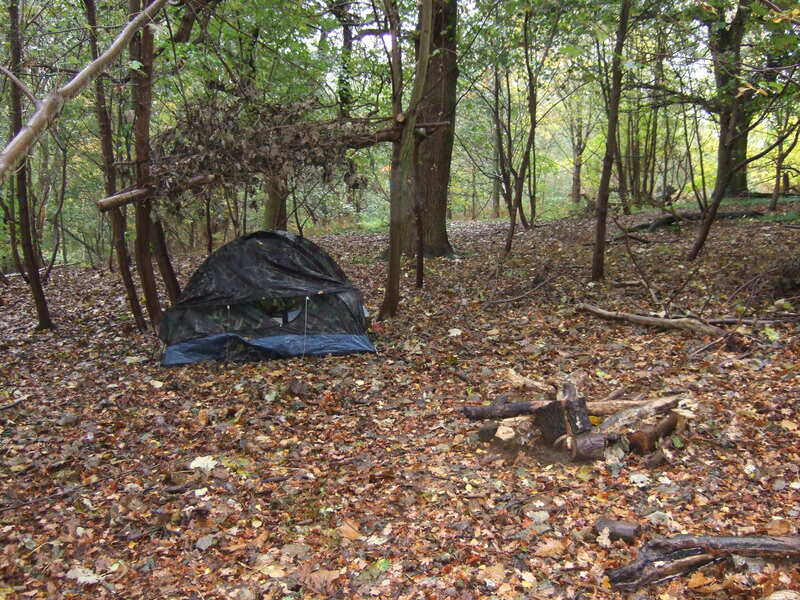 When I went back a few days later I was surprised to see a small camouflage tent set up near the picnic table. There was nobody there and I left the tent alone but picked up the beer bottles that were scattered around. The tent was still there last time I visited but I couldn’t see any signs that anyone had been back. I haven’t decided what to do about it yet. 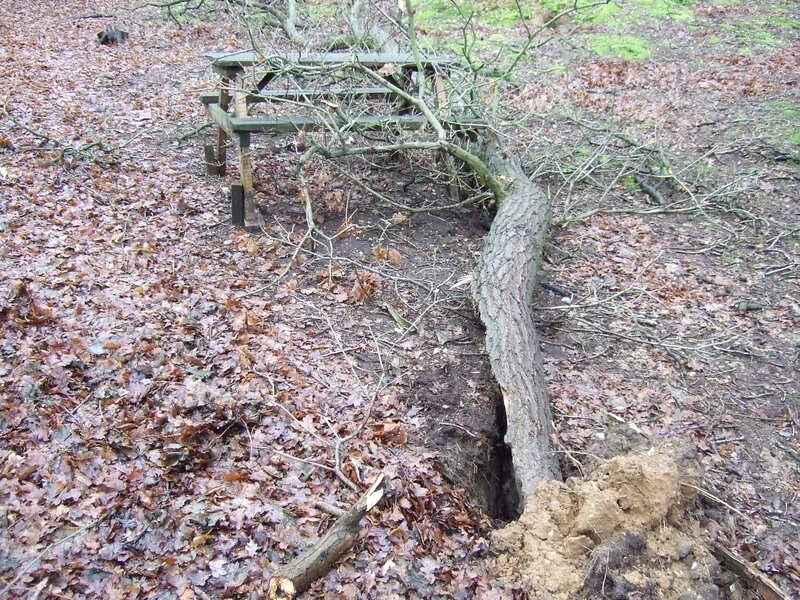 Meanwhile, in Hatfield there has been an attempt to breathe new life into a Friends of Hatfield Woods volunteer group. 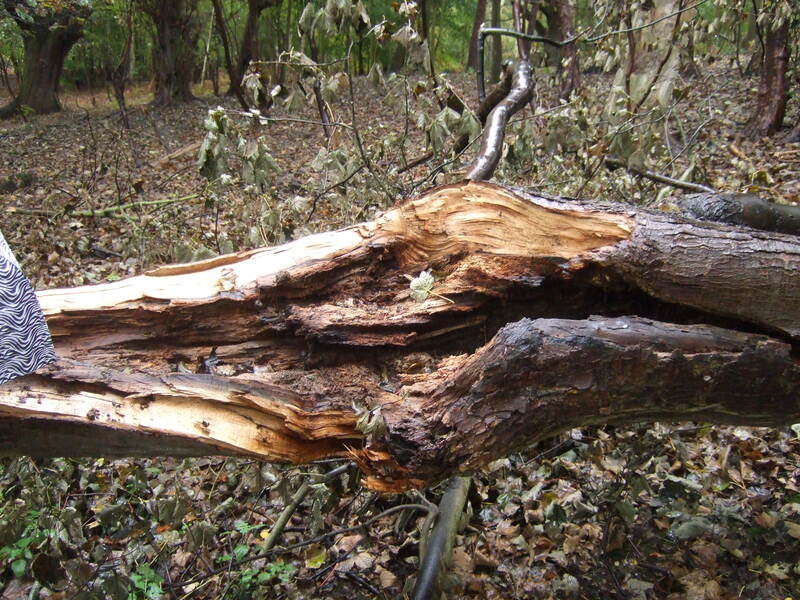 The Countryside Management Service (CMS) are involved now, and I joined a group of volunteers in Oxleys Wood on Tuesday October 29th, the day after a storm which brought down a lot of trees in the area. We built a fire in a clearing and burned a load of brash that had previously been left by council contractors. I also went and fetched my winch to pull down a big ash limb which had snapped in the storm and ended up balanced precariously against the trunk. Through the CMS I learned of a free woodland management training workshop which is being delivered by Good Woods at Marston Vale Forest Centre in Bedfordshire on November 23rd. When I signed up I mentioned that I have my own piece of woodland and was informed that Good Woods is also providing free woodland management support to 200 woodlands across the South East and East of England. It turns out I am eligible and will in fact be looking round the wood with an advisor in the morning. Ware Park Wood seemed to weather the storm OK. There were quite a few broken branches but the only tree that came down was a large sycamore which snapped off about five metres from the ground. The crown came down mainly in the neighbouring wood and I could see that the trunk was quite hollow and rotten where it snapped. Luckily nothing came down on the road or right of way. I still haven’t spent a night at the woods but have been thinking I might invite a few friends to camp out for the Winter Solstice. The exact moment will be 17:11 GMT on Saturday December 21st but the celebration at Stonehenge will take place at sunrise on December 21st so we would camp on Friday night and be up for sunrise. OK, that is about as much detail as I have time for and I think I have covered most of the significant stuff – I will try to post more regularly in future. It is exactly six months since my last blog entry and for most of that time not much has been happening. 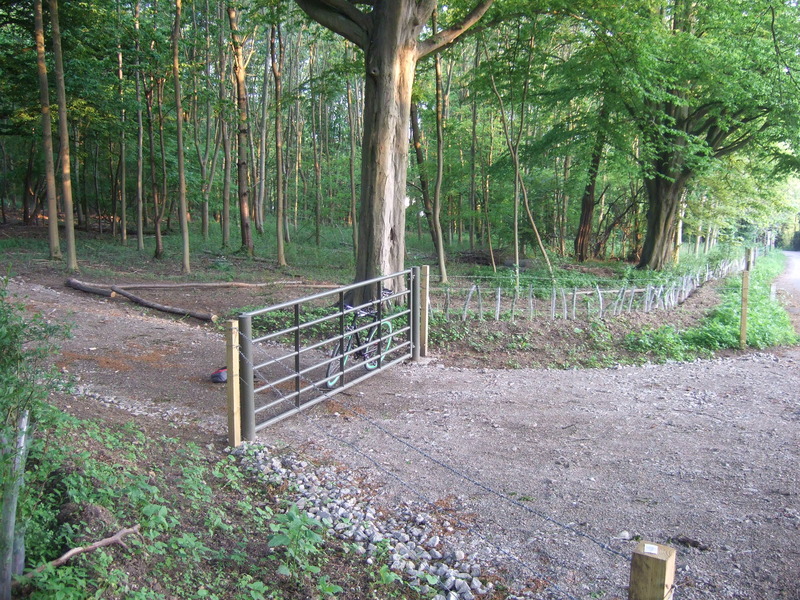 I described how my application to the Council for approval to go ahead with creating a vehicle access track was refused on the grounds that “Insufficient information has been submitted to show that the proposed access would be used with ongoing forestry works at the site”. I knew I would have to deal with the issue at some point but I felt defeated and couldn’t summon the necessary enthusiasm, so I busied myself with other things and neglected the wood for most of the summer (though I did go over with a brush cutter a couple of times to cut back the verge). 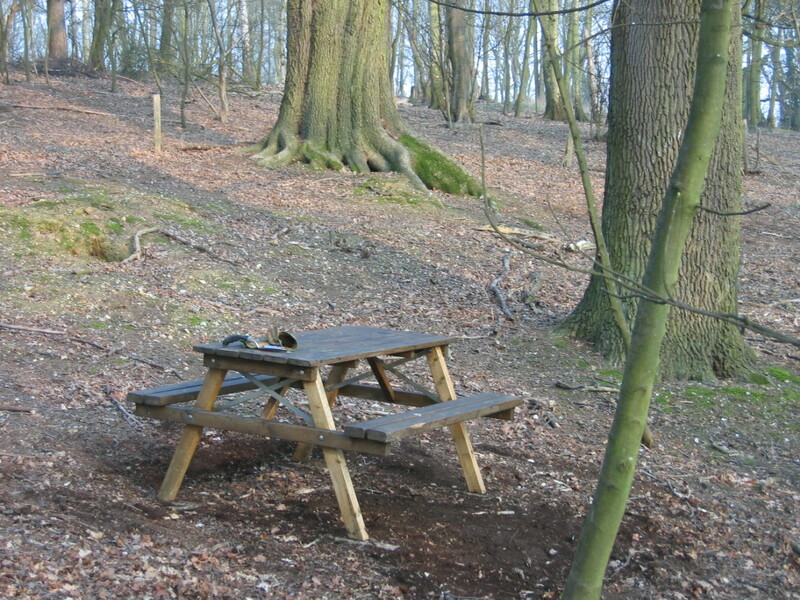 At the beginning of July I went for a walk and spotted the missing picnic table, which had been moved about fifty metres to the corner of the wood and thrown down a steep bank. Fortunately it was undamaged so I retrieved it and put it back in its proper place. To stop it going missing again I nailed the legs to four posts driven into the ground, which clearly worked because it was still there as of last week. Back to the planning issue. I didn’t want to pay to apply again – as a matter of principle more than anything. The only other option seemed to be to appeal to the Secretary of State which I would have to do within six months of the refusal, in other words by December 8th. In either case it seemed I would need to be prepared to demonstrate that I really intended to do forestry work on the site and that would mean producing some sort of management plan. It was not until late September that I phoned the Forestry Commission and got in touch with the local Woodland Officer Emma Brearley who arranged to meet me at the wood in early October to discuss management options. Her main recommendation was to do some long overdue thinning and she suggested I remove about a third of the trees, including all of the sycamore. When she got back to her office she sent me an application for the necessary felling license. During the second week of November I selected and marked trees to be felled, keeping a tally broken down by species and trunk diameter from which I was able to estimate timber volume. I wrote a basic management plan and on November 15th delivered it with a letter to East Herts Council asking them to reconsider my application. I told them I wasn’t happy with the pre-application advice I had received and that if the issue wasn’t resolved to my satisfaction I had been advised to appeal to the Secretary of State. On the same day I posted my felling license application. On November 29th I got a letter from Michael Chalk in which he said that he was not able to reopen the application as it had already been determined but that I could resubmit it within twelve months of the date of the decision, that no fee would be charged, and that the management plan provided sufficient information to show that forestry is intended at the site, though he also said that my application would be helped if I could provide correspondence from the other bodies referred to in the management plan (RPA, Forestry Commission etc). So it was back to the Planning Portal where I discovered I could just go to “My Applications” and copy the application, which retains all the details and supporting documents but allows it to be resubmitted under a new reference number. 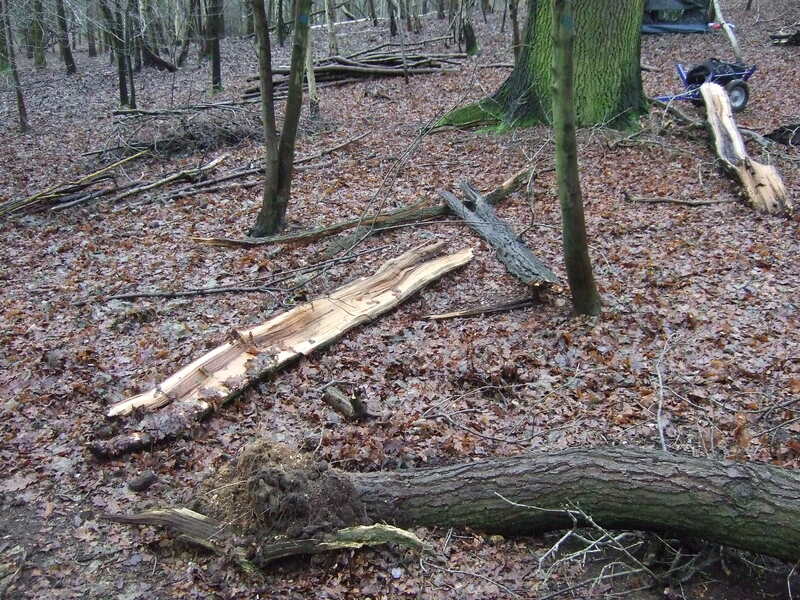 I made a few changes on the form and added four additional supporting documents – my management plan, the felling licence (which I had just received), my Rural Land Register Map (which I had received way back in May), and an email from the Woodland Officer saying that I would need an access track for extracting timber cut under the felling license. I submitted the new application on December 6th and the following day I got an email saying it had been transferred to East Herts Council. On December 10th I got a phone call from the fees department at East Herts to tell me that the application could not proceed until I had paid the fee! Well of course I told the woman that I had it in writing from the planning officer that no fee would be charged and she agreed to talk to him and get back to me. The following day I got a call from someone higher up saying that they had made a mistake in telling me that there would be no fee but I dug my heels in and he agreed to process the application without me having to pay. On December 15th I got an official letter saying that if the application had not been decided by January 3rd I could go ahead but I hoped I wouldn’t be kept in suspense over Christmas and on December 21st I received a decision – “PRIOR APPROVAL IS NOT REQUIRED”. I believe that means I can go ahead! It has been an edifying if frustrating experience and of course I would do things differently in future, but I still think the pre-planning advice I got was poor value for money. On March 19th I took a picnic table to the woods and carried it in to a location we had previously decided upon, out of sight of the road and the right of way. We used it a few times and it was still there on April 27th. On May 12th we went to do some work and the table was gone. My mother couldn’t believe that someone would have gone to the trouble of stealing it but unless the badgers have carried it off to their underground banqueting hall that is what must have happened. When I originally got the table a couple of years ago its legs had been sawn off, so it is fairly distinctive in that it has new legs which are a lighter colour than the rest of the table. When I installed it I did think about chaining it to something or bolting it down but it seemed like a lot of effort and it wouldn’t have stopped a determined thief so I didn’t bother. Here is a photo of the table taken when I first installed it.